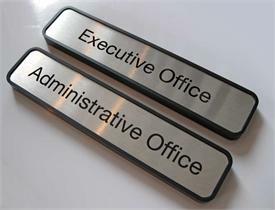 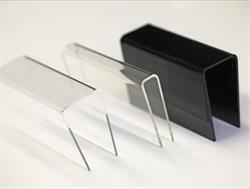 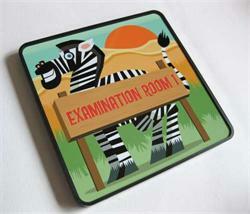 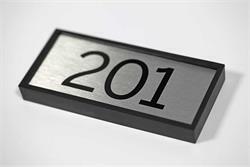 A professional, yet fun name plate for any office, clinic, childrens hospital, exam room or dental lab. Ideal signs for any pediatric clinic, our framed custom exam room name signs and room number signs will welcome all your young guests. 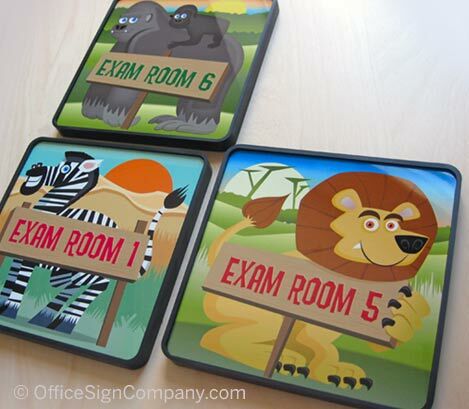 Our contemporary color office signs can be personalized for exam rooms, room names, office signs or medical waiting room signs. 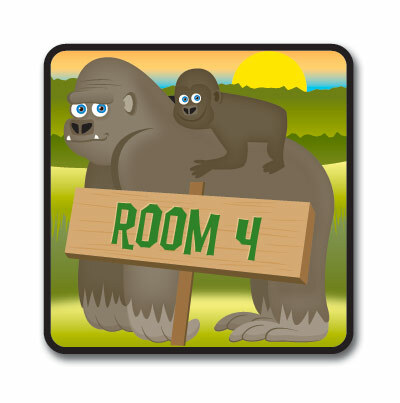 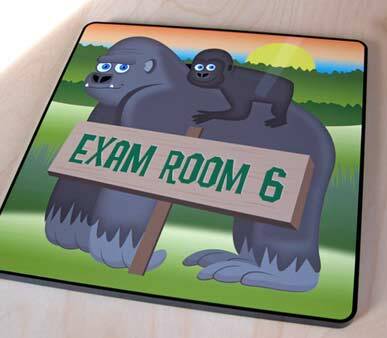 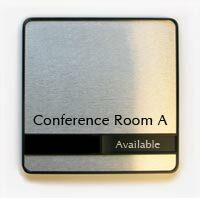 Personalize your room sign or exam room sign with any text - at no charge! 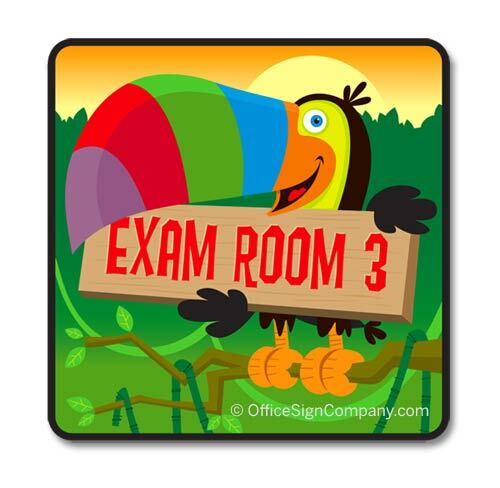 You have to see these in person to appreciate the colorful, professional office sign quality. Pediatric signs are printed in FinkSans font unless specified otherwise.